A week up in Scotland, with my road bike, and settled weather, was the ideal chance to pick off some slightly more inaccessible Munros. 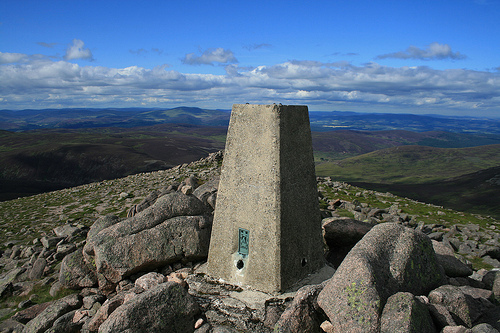 Mount Keen is the most easterly of all the Munros, and well isolated from the other multi-Munro ranges around Glensheet and Cairngorm. 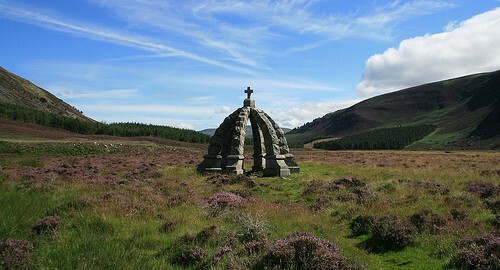 It’s firmly in the middle of the Angus glens area and 25 miles from the nearest station, Montrose. 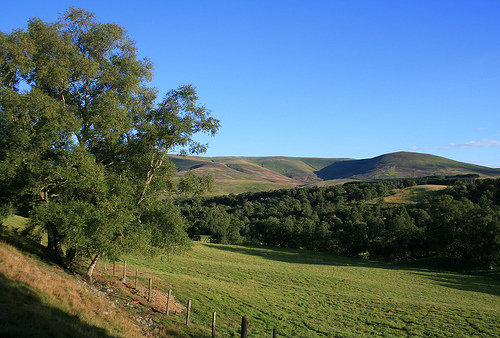 Ideal for cycling then, particularly as I always wanted to cycle up the 15-mile dead-end road through Glen Esk. The Munro can be climbed from the north or the south – I picked the latter, which starts at Invermark, near the head of the glen. The cycling section was pleasant, with quiet roads the whole way and a notable 6km section through Edzell Woods that was flat and straight as an arrow, while still being almost free of traffic. Crossing the A96 was daunting but a useful old road fragment makes this easier. 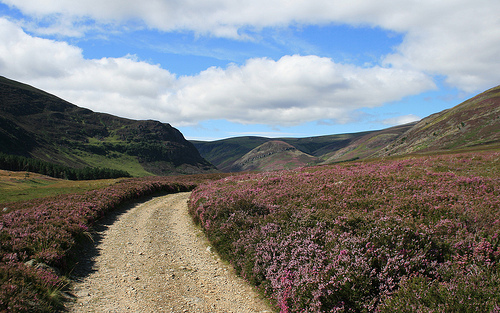 The road through Glen Esk climbs steadily, but it’s only 300m in all. The walking was also straightforward, with undoubtably the best Munroing path I’ve ever been on, probably laid and drained virtually to the summit. This was especially good as, having forgotten to bring my walking boots, I was in my regular road running shoes. I was up and down quickly, covering the 18km distance (with 700m climb) in less than four hours including breaks. Route map. 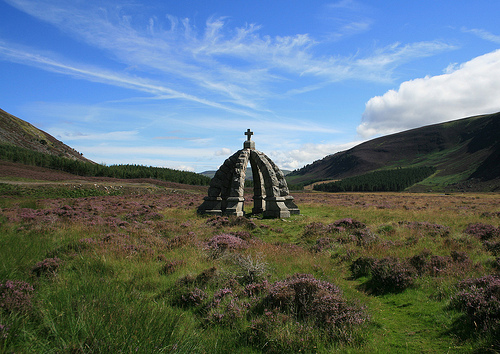 On the way out, I stopped at the Queen’s Well (top photo), a monument which was laid to commemorate a journey by Queen Victoria over the nearby Mounth Road, an old droving route which is just a track and climbs to 800m. I also visited an old fort which was by the start at Invermark, built high to keep an watchful eye on illegal cattle movements! The cycle back was pleasant, arriving just as it got dark. I was quiet tired by this stage, so a smoked sausage supper, and Irn Bru, were quickly consumed while I waited for the last train back home. It was 4h40 of cycling, and 90km altogether. Nice to have got #200 out the way, even if it has taken me 20+ years to get this far now. Only 82 more to do!